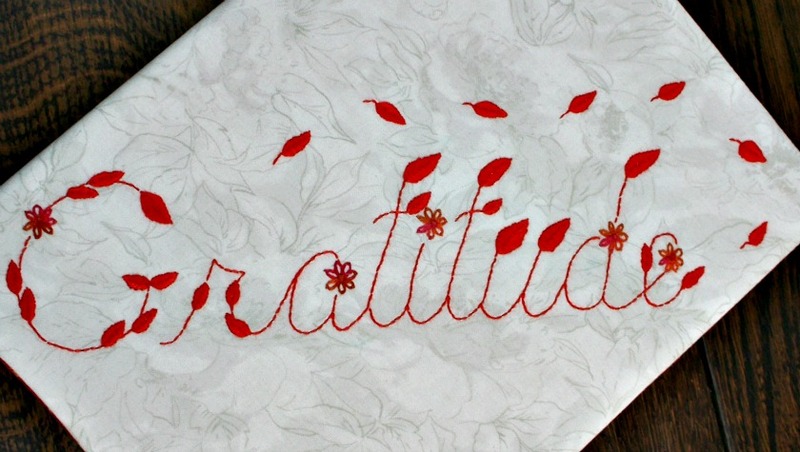 With Canadian Thanksgiving this month and American Thanksgiving next month, I’ve designed this Gratitude Embroidery Pattern to be stitched on items to encourage us to remember how truly blessed we all are. 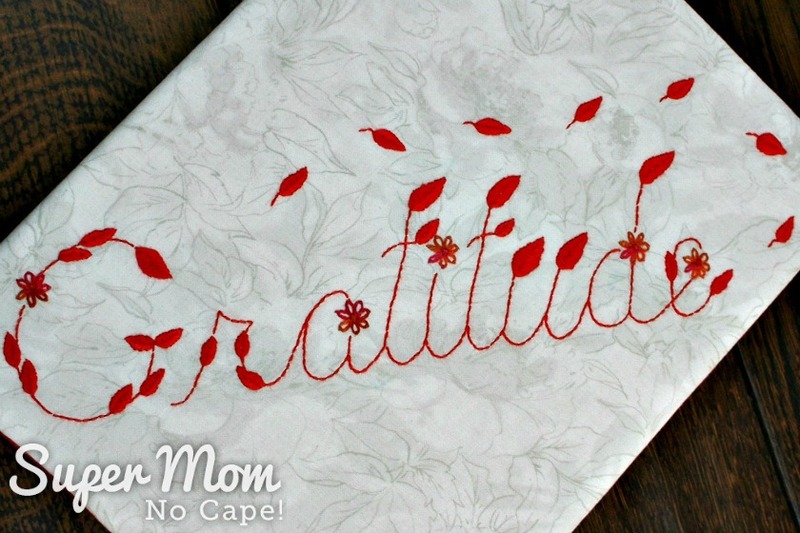 I chose to embroider mine on to a fabric journal cover to create a Gratitude Journal with a composition book insert. 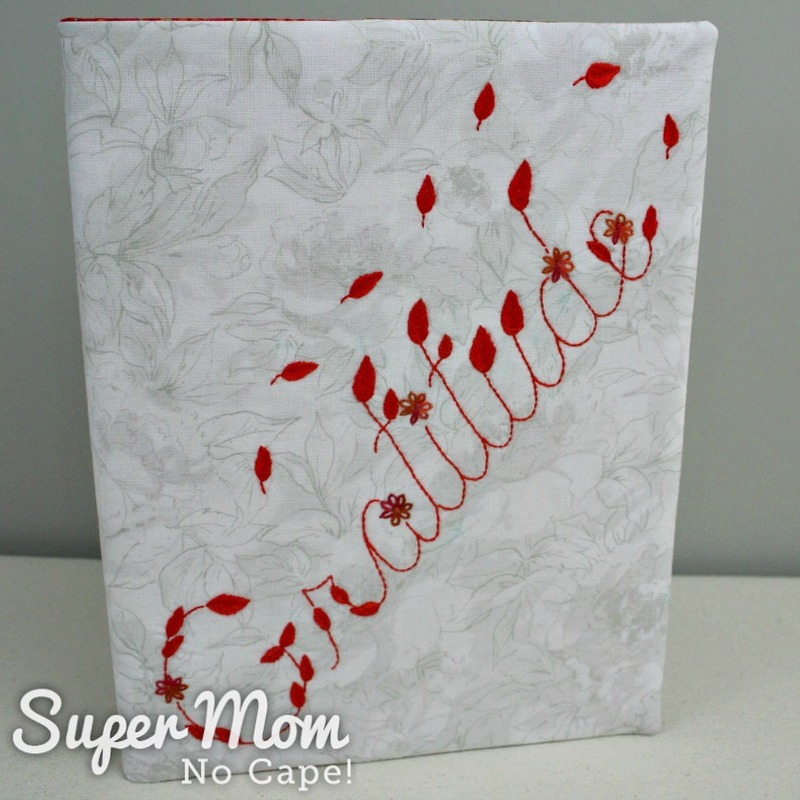 Click through for the complete step-by-step tutorial for How to Make a Fabric Book Cover. If you want to make one too, remember to trace the pattern on the right hand side of your piece of fabric. It works best if you cut your fabric slightly larger than needed and then trim the finished piece to size. 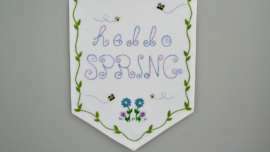 You’ll also want to measure carefully to ensure to get the Gratitude Embroidery Pattern positioned correctly when it’s finally sewn to make the journal cover. 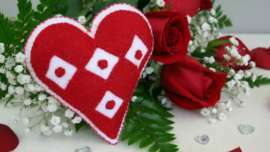 The letters of Gratitude were embroidered in backstitch with two strands of DMC 900 Dark Burnt Orange. Two strands of DMC 4130 Color Variations Chilean Sunset were used to stitch the Lazy Daisy flowers. 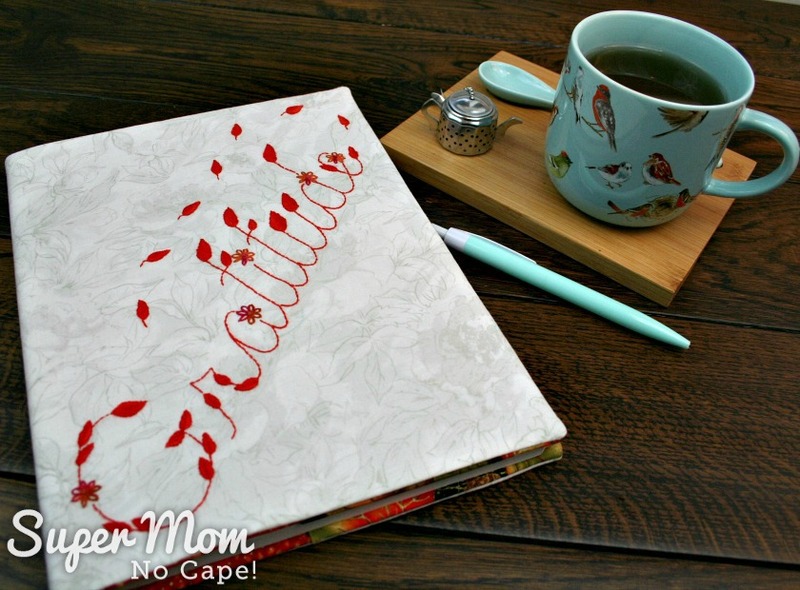 The inside flaps of the Gratitude Journal Cover were made with Autumn Leaves by Jackie Robinson of Animas Quilts for Benartix. 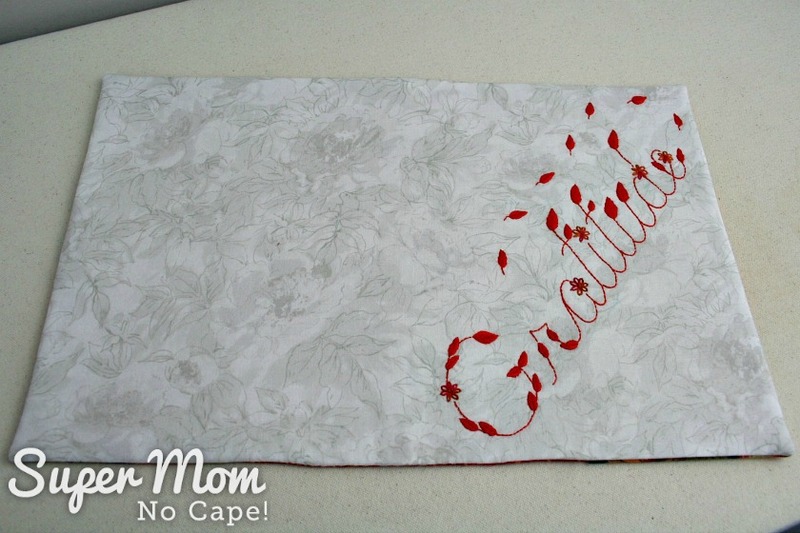 I shopped my stash of fat quarters to find the perfect coordinating fabric for the Gratitude Journal lining. It’s Artisan Spirit Shimmer Sunglow 20225M from Northcott Fabric. And here’s the finished embroidered journal cover with the composition book inside. From now until the new year, I plan to sit down with a cup of tea and take a few minutes each day to write down all the things I’m grateful for. Now it’s time to see what others have been working on! 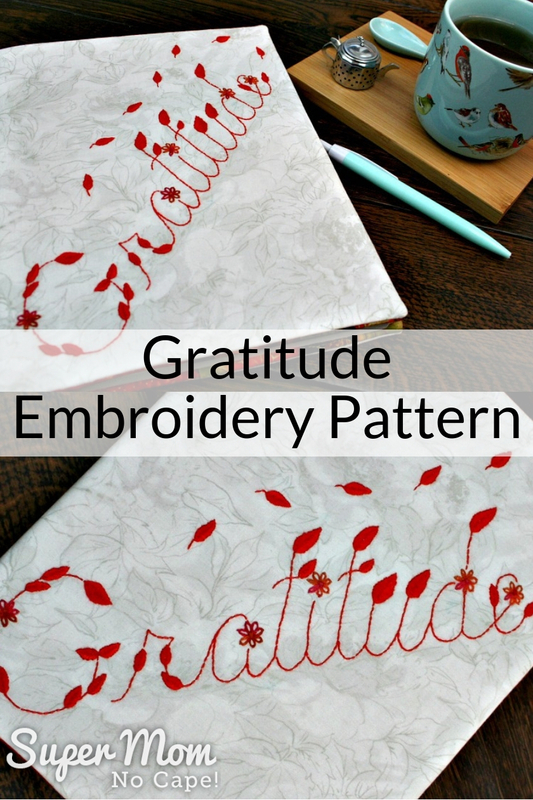 Please be sure to save the Gratitude Embroidery Pattern to find it again in future by clicking on the Pinterest button underneath this post. So often lately I am running and striving. Especially with the holidays approaching. Its funny because today I had two nudges about being grateful, this post, and a conversation I overheard while shopping for craft stuff. Message received and this journal is a beautiful way to organize them. Love the idea. What a great idea. This is my first time stumbling across your site, and I’ll definitely coming back again! 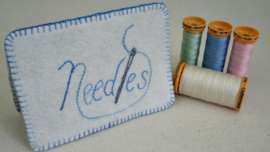 I love this embroidery project! 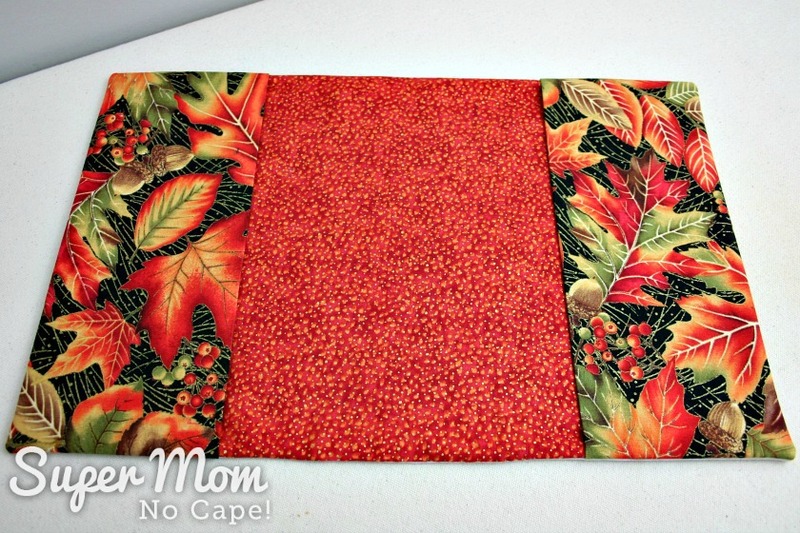 Such a nice way to embellish holiday napkins or placemats. Thanks for sharing at The Ultimate Pinterest Party this week! This truly is a LOVELY project! And gratitude is something I think the world would benefit from if more people would embrace it. Thank you for sharing!